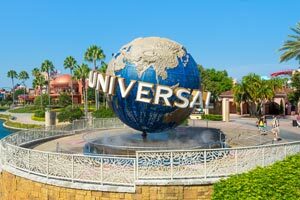 With a stay at staySky Suites - I Drive Orlando in Orlando (Sand Lake), you'll be within a 5-minute drive of Pirate's Dinner Adventure and ICON Orlando. This family-friendly hotel is 1.6 mi (2.6 km) from Fun Spot USA and 1.9 mi (3 km) from Pointe Orlando. Make yourself at home in one of the 130 air-conditioned rooms featuring flat-screen televisions. Complimentary wireless Internet access keeps you connected, and cable programming is available for your entertainment. Private bathrooms with shower/tub combinations feature complimentary toiletries and hair dryers. Conveniences include safes and irons/ironing boards, and housekeeping is provided daily. Be sure to enjoy recreational amenities, including an outdoor pool, a spa tub, and a 24-hour fitness center. Additional features at this hotel include complimentary wireless Internet access, an arcade/game room, and gift shops/newsstands. If you're planning a day at a nearby theme park, you can hop on the complimentary shuttle. Grab a bite from the snack bar/deli serving guests of staySky Suites - I Drive Orlando. Mingle with other guests at the complimentary reception, held on select days. Wrap up your day with a drink at the bar/lounge. A complimentary hot/cold buffet breakfast is served daily from 7 AM to 10 AM. The preferred airport for staySky Suites - I Drive Orlando is Orlando, FL (MCO-Orlando Intl.). Package deliveries will be accepted for guests in advance of check-in for a flat fee. Additional fees apply to oversized packages and packages arriving more than 7 days in advance. The hotel cannot be held responsible for lost or damaged goods. For more details, please contact the property using the information on the reservation confirmation received after booking.